Brewing your own beer? If you’re a beer drinker and love to sample different flavours of beer, it just makes sense that you’d have thought about brewing your own beer at home. On other pages, we’ve talked about what you need to get started brewing beer and we touched on some of the reasons why people love to brew their own beer. Here, we’ll dig a little deeper and discuss five of the biggest benefits of brewing your own beer and why it’s becoming increasingly popular over the years. Over the past couple of decades, home brewing kits have not only become more widely available, but they are more compact and a lot cheaper than they used to be. Now you can get yourself set up with a home brewing kit for about $150.00. And, once you’ve bought your home brewing kit, you’ll find that your cost per beer is actually lower than that of your local beer store. you’ll soon realize that there’s a whole world of home brewing enthusiasts who gather regularly on and offline to trade their knowledge and secrets. If having something in common is a good starting point for a solid friendship, then sharing your love for beer should make you some fine friends indeed. You can find these home brewing lovers on the many forums on the internet as well as at any local home brewing store or at homemade beer competitions that are held throughout the country. In addition to these competitions, you should have no problems finding home brewing clubs in or around your own city. When you purchase a beer from your local beer store, you don’t have much say about the flavour of the beer. 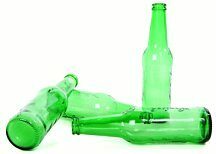 Sure, you can choose from a wide variety of beer but it will always taste the same – and it won’t have that freshness that you get when you brew your own beer. When brewing your own beer, you control all aspects of the final product – from the flavour to the texture to the amount of alcohol in the beer. And, you’re able to experiment in ways that the big beer companies just never would. Where they would have to spend millions to experiment with a new beer flavour, you can spend mere dollars at home. Once you’ve figured out how to brew your own beer and you’ve started to tweak the recipes and play with the flavours, you’ll eventually find that the beer that you produce at home actually tastes better than the beer you buy from a beer store. And the satisfaction that goes with knowing that you’ve created a beer in your own home that out-tastes the big beer companies’ beer just can’t be put into words. And then there’s the ego boost you get when you have people over who confirm what you’ve thought – your beer tastes great! If you’ve ever liked creating anything – from that end table you made in grade school to the clock you created in metal shop – you know how much fun it can be. Combine that with the fact that its BEER that you’re making and that just makes it a whole lot funner. Setting up all the equipment and going through the procedure of making beer can be as fun and rewarding as drinking the beer itself.If you’re on the fence about brewing your own beer because you still think of home brewed beer as nasty tasting swill, think again. The brewing kits these days take all the guesswork out of brewing beer and they’ve got it down to a simple science. It doesn’t take a genius to brew beer at home, it just takes someone who has a passion and a love for beer.